“From the mechanical innovations of the First Industrial Revolution to the emergence of computers and the Internet of the 3rd, the business world has been in a state of radical transformation since 1760,” explains Brian Manning, co-founder, president and CDO ofCentric Digital. Current advances in the access to technology; interplay between nanotech, brain research, 3D printing and mobile networks; and quick and cheap invention of new products and services are pushing us further and further into the Fourth Industrial Revolution. Manning, who has been watching these trends unfold for years, co-founded Centric Digital to help traditional businesses get ahead of these impending digital changes. 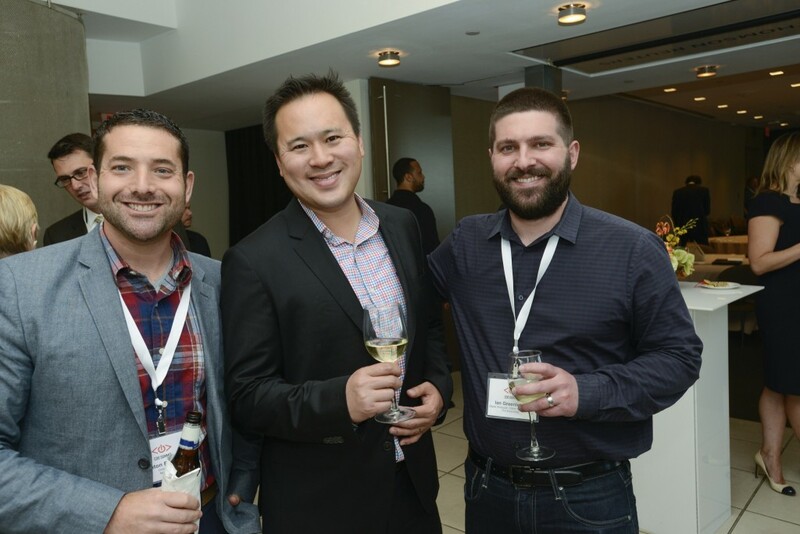 Founded in 2009 and headquartered in New York City, Centric Digital was created by Brian Manning and Jason Albanese to get enterprises in traditional sectors that are slow to change—like finance, health, retail, industrials, etc.—to transform their business from the ground up. In fact, in 2014 Centric Digital was named #34 on the Inc. 500 list of the fastest growing private companies in the United States, including #1 in New York state and #1 in New York City. 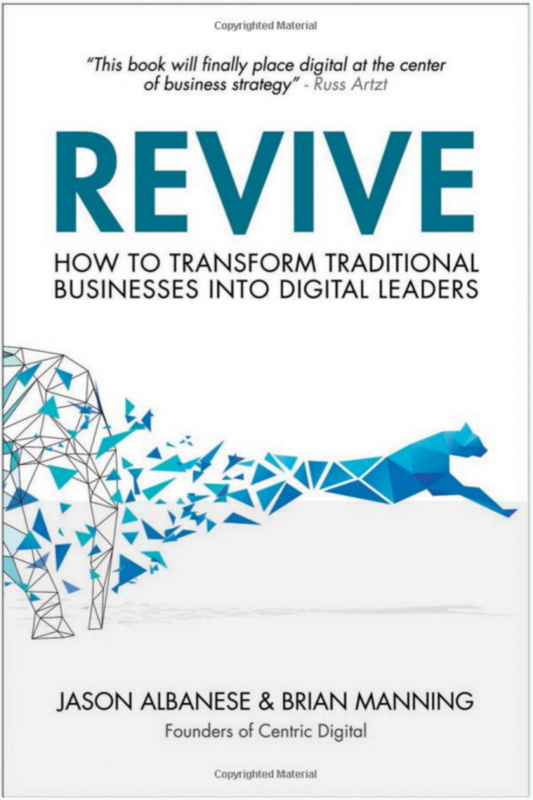 While digital transformation is the sole focus of Centric Digital, it’s also what inspired Manning and Albanese to write their newly published book,REVIVE: How to Transform Traditional Businesses into Digital Leaders. Manning lends his unique expertise throughout the book, drawing on his experience in the digital divisions of companies such as Citigroup and Barnes & Noble.com and management consultant experience from Accenture. REVIVE shows traditional leaders exactly how executives are applying ideas that go far beyond incremental improvements and change the game. In his upcoming keynote at the NYC CDO Summit, “Transforming Traditional Businesses into Digital Leaders”, on April 27 from 11:15 a.m. to 12:00 p.m., Manning will highlight how companies can transform a traditional business into a digital leader using approaches in the book. In order for companies to keep ahead of emerging trends and developments, it’s important to see how other businesses are using new and emerging technology. Today, there are quite a few savvy digital companies that are harnessing the power of big data visualization, virtual and augmented reality, omni-channel experiences, automation, and the internet of things to revolutionize the way they do business. These companies are the ones who will thrive as the Fourth Industrial Revolution continues to develop. Meanwhile, traditional businesses continue to lag behind. In order for them to keep up, they’ll need to implement a digital strategy. But where to start? “One of the first steps to any successful transformation is putting a solid strategy into place,” Manning emphasizes throughout the first few chapters of REVIVE. Developing a strategy should first and foremost be based on understanding the audience—what economic and social characteristics do they have and what drives their behaviors and decisions? This can be done through qualitative and quantitative research and persona development. Once a strategy is in place, a roadmap not only needs to be created, but consistently built upon as well. This will ensure that the company is able to stay ahead of disruptions and changes. Companies also need to dial every aspect of the organization into the roadmap. Siloed departments are no longer acceptable for companies seeking the agility needed to remain competitive. This, however, is no simple feat—especially for traditional businesses that are entrenched in outdated business models and hierarchical management structures. Fortunately, this is where CDOs become the catalyst for massive change. Overall, the role of the CDO goes well beyond understanding responsive website design and digital marketing. CDOs must be driving transformation and connecting the digital dots across the entire organization. They are the ones responsible for leading digital transformation and they must be on the cutting edge of the latest changes, trends, and technologies. As we move further into the Fourth Industrial Revolution, who will be the champions, ambassadors, and leaders of change? The traditional executive role will struggle to keep pace with the set of skills, expertise and know-how required to navigate these changes. It’s the role of the CDO that will blaze the path forward into the unchartered frontier of the Fourth Industrial Revolution. Catch up with Brian Manning and uncover more ways in which CDOs can be the change every traditional business needs by registering for the upcoming NYC CDO Summit.